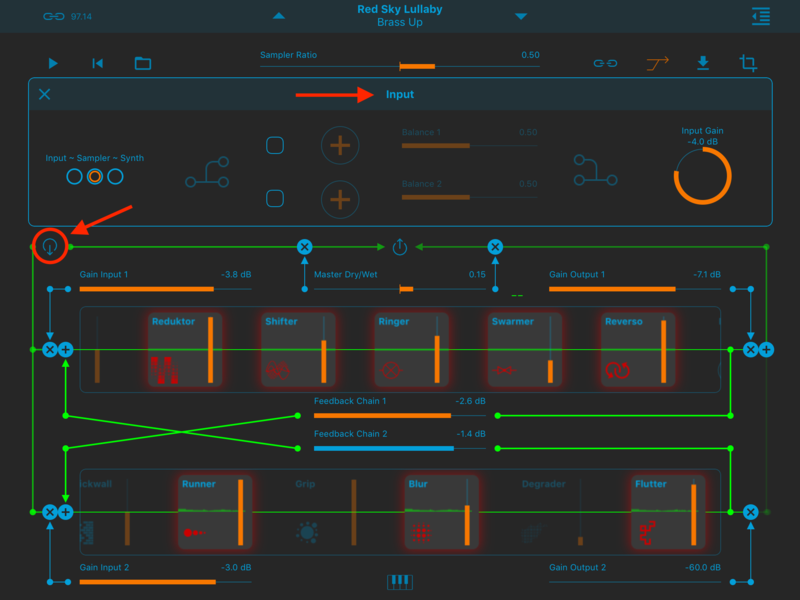 Moebius Lab is a multimorphic sound processor; it contains a synth, a varispeed stereo sample player, 9 time domain effects, 6 spectral effects, 7 slots for external audio application, and nearly 200 LFOs that can modulate each parameter. 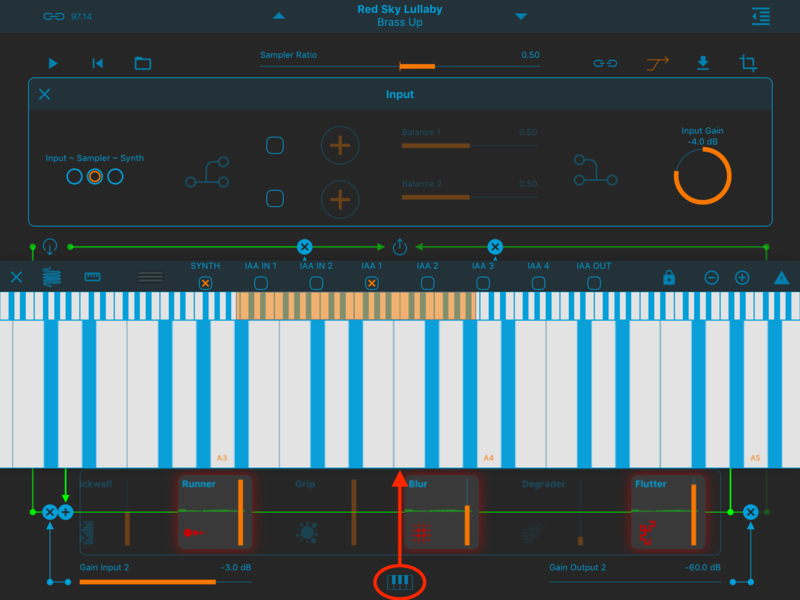 The screen is divided in 3 horizontal areas: the top one contains the sound source (Sample player/External Input/Internal Synth), the middle one contains the Time Domain Effects Chain with four slots for external apps, the bottom one contains the Spectral Effects Chain. The two effect chains are connected in a sort of Moebius Ring: you can route the signal from the Time Domain Chain to the Spectral Chain and vice versa. You can move the effects along two chains, and get endless combinations of incredible sounds. 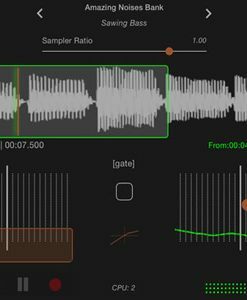 ALL the App parameters can be modulated with dedicates LFO (one independent LFO for each parameter!). To get you started, you have more than 200 ready-mades presets. Each effect has an in-line help with an explanation of the parameters. 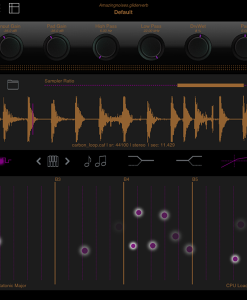 The screen is divided into 3 horizontal areas: the top one contains the sound source (Sample player/External Input/Internal Synth), the middle one contains the Time Domain Effects Chain with four slots for external apps, the bottom one contains the Spectral Effects Chain. 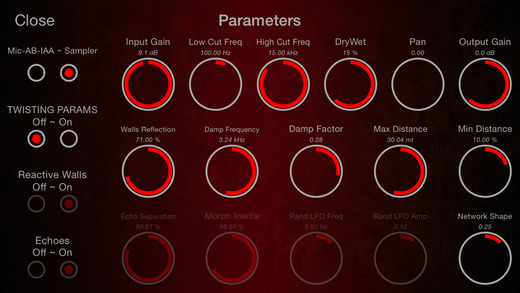 You can even add up to 7 IAA effects and/or instruments, the number of possibilities is huge! – EXCITER The Exciter Node distorts the signal below (Saturation) or above (Excitation) a given frequency. 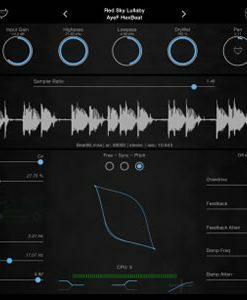 – RINGER A ring modulator with distortion and feedback. – KLAMPER Clamps the signal with some special features. 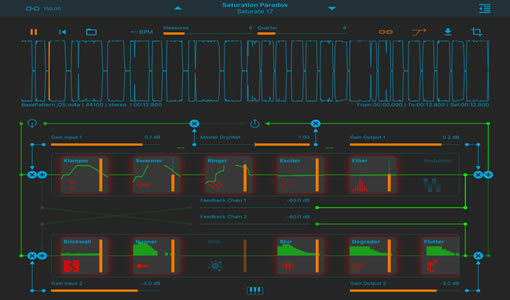 – SWARMER A “superchorus”, excellent to create super fat synth sounds (and more). It is composed by a chain of modulated delay lines. Dub: dual low-pass high-pass state variable filter with resonance and overlap factor. Morph: a triple low-pass/band-pass/high-pass state variable filter with resonance and continuous morphing between the filter types. – SPLITDEL A dual band delay with feedback. – REDUKTOR This node can be used to decimate and do other “bad things” to your signal. – SHIFTER A dual band frequency shifter. – REVERSO Plays the signal in reverse at regular rate. – BRICKWALL A spectral brickwall filter. 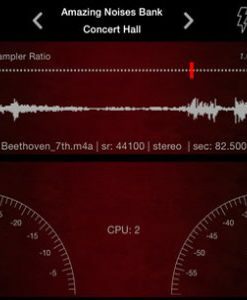 – GRIP This node samples and holds spectral components of the incoming signal, based on their amplitude. – BLUR A (noisy) “spectral reverb”. The duration of the spectral components is prolonged (blurred). – DEGRADER A spectral decimator. – FLUTTER Flutter is a sort of animated brickwall. Two spectral sinusoidal LFOs define the frequency boundaries. The spectral components which are inside or outside (depending on the Spectral Balance) these boundaries are suppressed. – PLATEVERB As the name suggests this is a classic Plate Reverb. 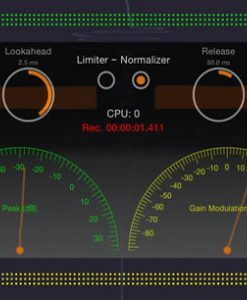 – DYNAMICS PROCESSOR You can change the output sound using a compressor and expander effect. This is used to either reduce or expand the dynamic range of an audio signal. The internal synth contains two band limited oscillators, a complex oscillator, a ladder filter, an envelope generator and a sub-bass oscillator.